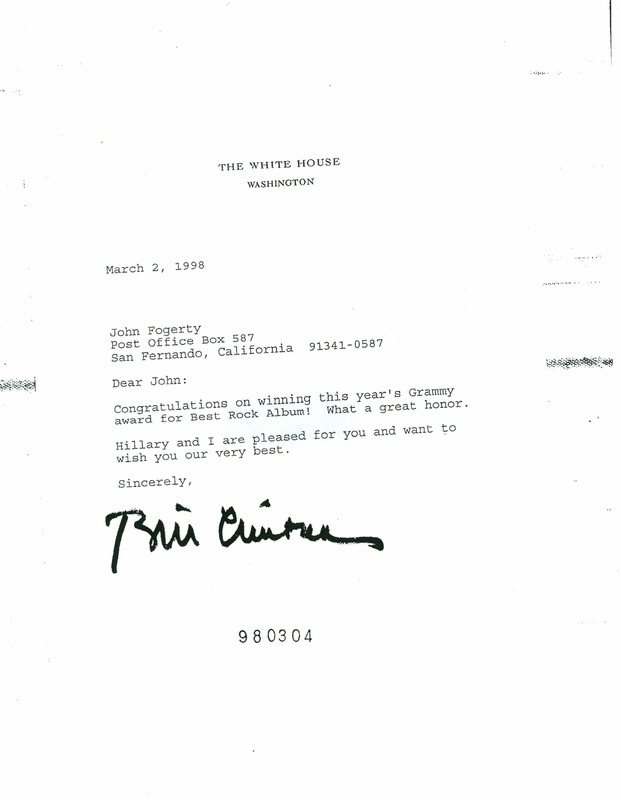 A congratulatory letter from President Clinton to Fogerty upon winning a Grammy for Best Rock Album. This award was for Fogerty’s 1997 release Blue Moon Swamp. 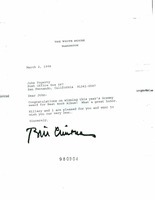 Bill Clinton, Subject Files, and ME001, “Letter to John Fogerty from President Bill Clinton,” Clinton Digital Library, accessed April 25, 2019, https://clinton.presidentiallibraries.us/items/show/57540.